Any habits, learned in the childhood, stays implanted in the mind. Cleanliness is one of them. It is not a work that needs to be done forcefully. Being clean and tidy is a good habit to lead a healthy life. Certain habits like washing hands before meals, bathing, brushing teeth and cutting nails should be practiced from early age. These are considered as personal habits. Apart from these all, we have to be careful about our surroundings too. Since we live in a society, it’s our duty to take care of our environment. Cleanliness should be maintained at every places related to our daily life. Naming some of them would be schools, colleges, offices, hospitals and many more. We spend our maximum time of a day in these places. Such places need to be cleaned in order to maintain a healthy life style. Tidiness must be the first and foremost responsibility of everyone. We have to be sincere about following certain manners and etiquettes strongly related to hygiene. Acts as littering in public places or spitting on the road should be strictly prohibited. Childhood is the best time to practice these habits. Being unhygienic can cause several skin diseases or stomach problems. So it’s very important to be aware about the necessity of neatness in our life. 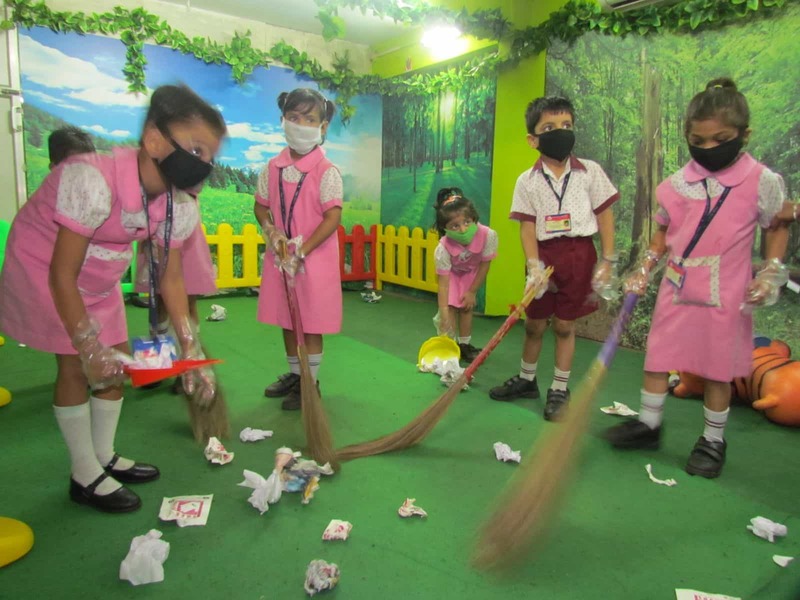 Teachers must teach the students important rules and manners regarding cleaning their surroundings. In schools and colleges students have to do projects on various topics based on cleanliness and hygiene. Students need to be aware about the hygiene of their classrooms, playgrounds, toilets, canteens and other places of the school. They should dispose garbage in the dustbins instead of throwing it anywhere. Such etiquettes are meant to be acquired by one. Teachers can only guide or teach but the students have to be willing to follow the instructions. Concentrating on these issues, our Prime Minister Narendra Modi has announced a “clean India” campaign. Every student must be aware of this cleaning campaign run by the government of India. Narendra Modi has launched this operation named “Swachh Bharat Abhiyan” to clean all the backward statutory towns. Launching sanitary programs to the rural areas, this project includes the cleaning of latrines, streets, roads and rural areas. This campaign was launched on the 145th birthday of Mahatma Gandhi, on 2nd October, 2014 at Rajghat, New Delhi (pyre of Mahatma Gandhi). The campaign is aimed to be fulfilled within 2019. As Indian citizen, we must take part in this campaign inspired by patriotism. It is our responsibility to make this mission successful by taking immediate initiatives. Concentrating on these facts, Sudhir Memorial Institute Liluah has opted for a cleaning campaign. This CBSE english medium school in Howrah has been organizing many events and activities for the welfare and betterment of the society since the beginning. They have launched an operation based on the mottos of “Swachh Bharat Abhiyan”. It will be really beneficial for the students as they will realize the importance of cleanliness to lead a healthy life.